(PRLEAP.COM) SAN DIEGO, CA, 9/28/18 – Thomas Jefferson School of Law is pleased to announce that alumna Bridget Watson (JD 2018) has won the 2018 Jan Jancin Award. Each year, the American Intellectual Property Law Association (AIPLA) grants this national award to an outstanding student in the area of intellectual property (IP). Criteria for the award include excellence in academic studies, scholarly achievement, and leadership in intellectual property-related student activities. The award includes a cash prize of $5000, as well as round trip airfare and hotel accommodations in Washington, DC for the 2018 AIPLA Annual Meeting. Professor Steve Semeraro, Director of the Intellectual Property Fellowship Program at Thomas Jefferson, explained that Ms. Watson, an IP Fellow, "was nominated because she pursued her education in the IP area very vigorously, spending her entire 2L and 3L years working in our Patent Clinic." She also held multiple IP internships, spent a summer working for the U.S. Patent and Trademark Office, and competed with Thomas Jefferson's Moot Court Honor Society in a patent law moot court competition. 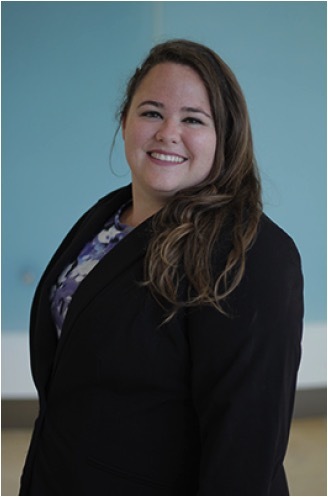 Impressively, Ms. Watson also drafted a directed study paper that won the 2017 IDEA Student Writing Competition, a national competition organized by IDEA: The Journal of the Franklin Pierce Center for Intellectual Property from the University of New Hampshire School of Law. Her paper was titled "A Mind of its Own: Direct Infringement by Users of Systems of Artificial Intelligence." Ms. Watson noted that she is honored to be selected for the Jan Jancin Award. She added, "Thomas Jefferson School of Law gave me practical experience in addition to a traditional doctrinal education. Participating in the Patent Clinic, for example, allowed me to engage in client counseling, patent drafting, and patent prosecution, which gave me a great advantage throughout my internship experiences."